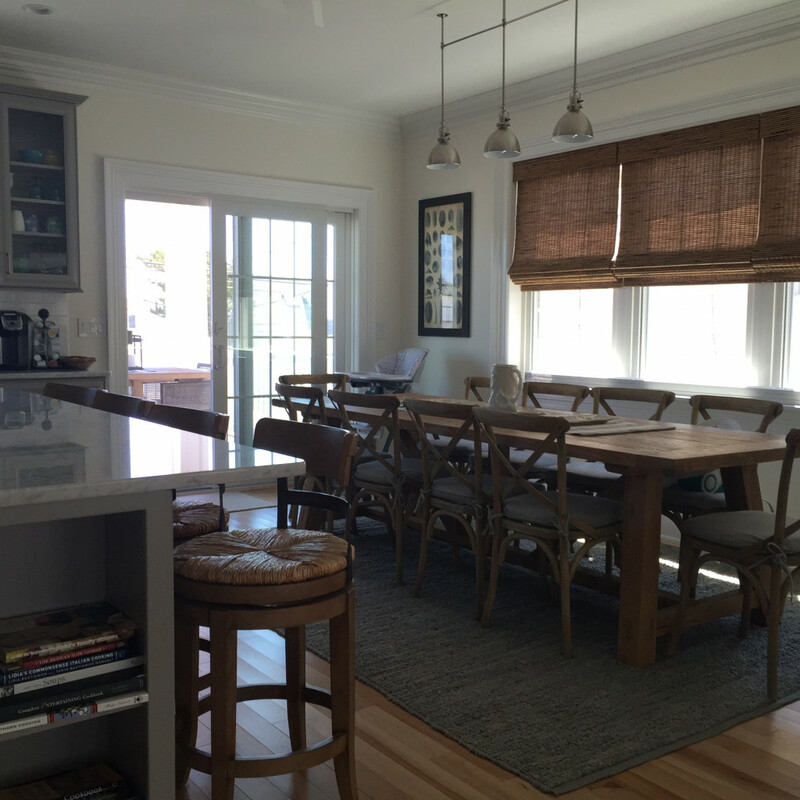 As a virtual interior designer, receiving “after” photos from a client is always a treat! 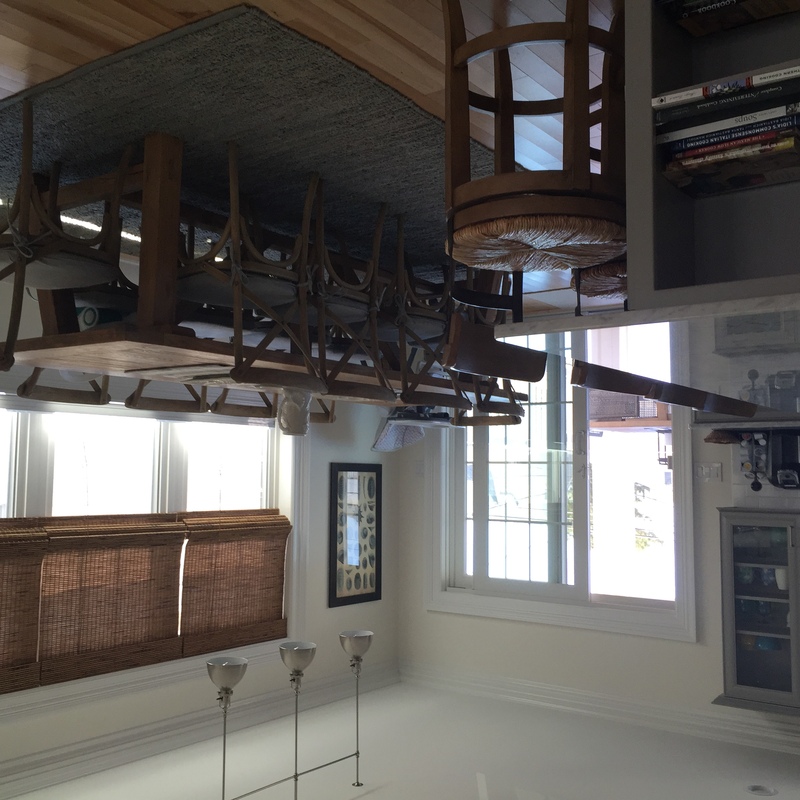 Here are some recent photos of an east coast beach home I was lucky enough to design. 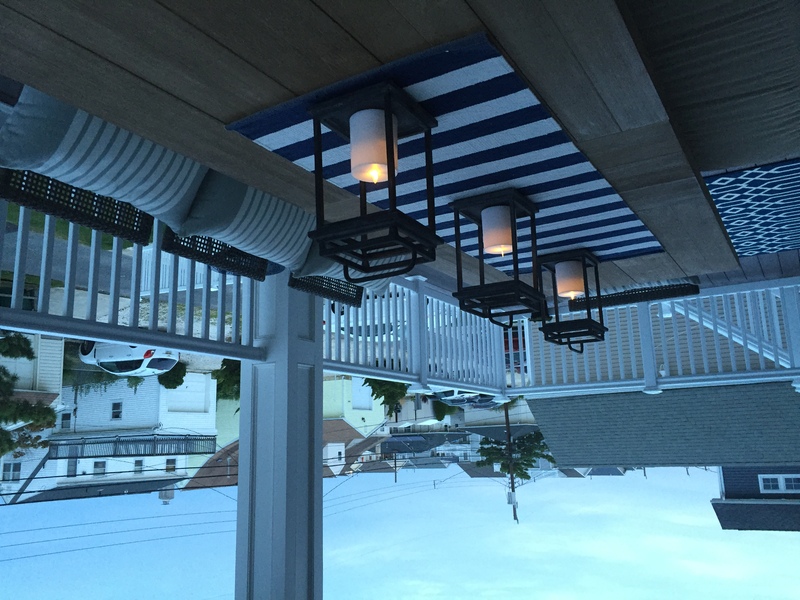 This lovely house was a new construction project designed to be causal, calm and coastal – everything beach without the literal beach references. More project photos to follow. Please check my blog http://www.interiordesignserviceonline.com/blog/ often for other design inspiration. 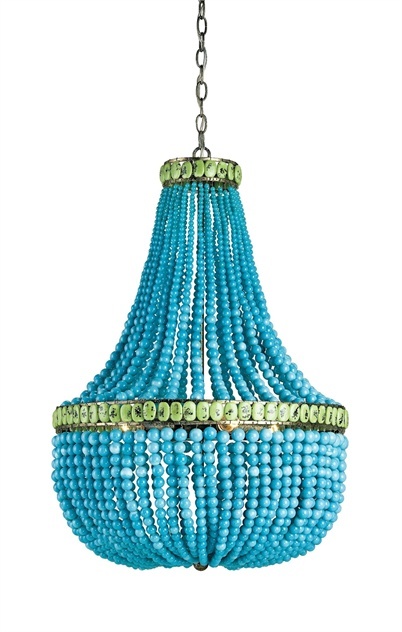 Beaded chandeliers are completely elegant and sophisticated yet not fussy – all around cool. Think California casual look with a touch of glam. We have sourced two gorgeous white beaded chandeliers with two dramatically different price points. 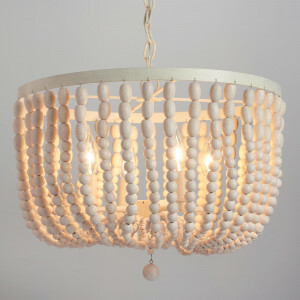 The first is our dream chandelier sold by Zinc Door. 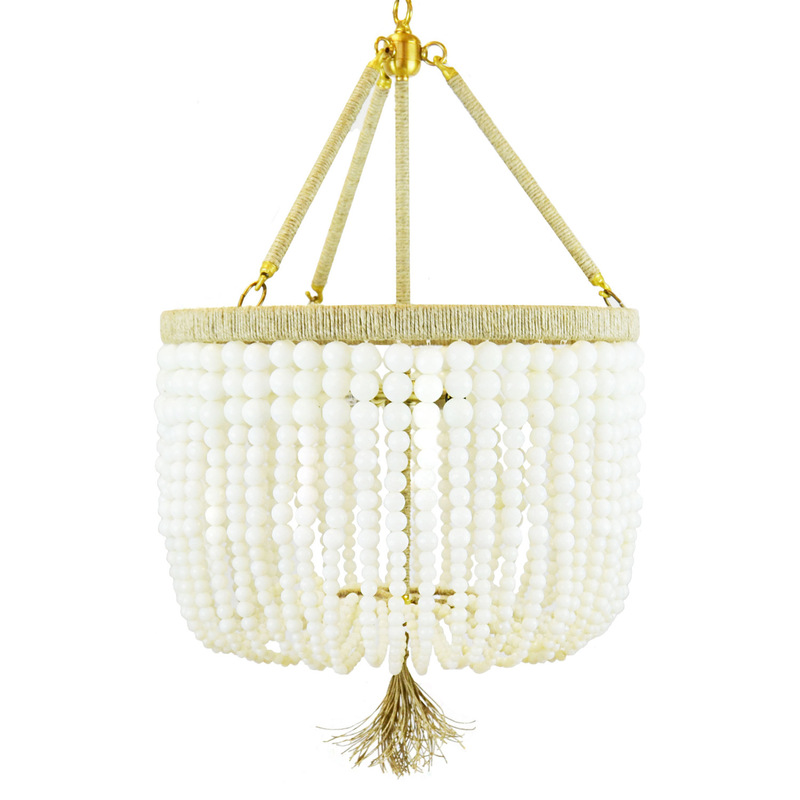 We love the Ro Sham Beaux Malibu chandelier’s (cost is $1,998.00) causal and elegant look. 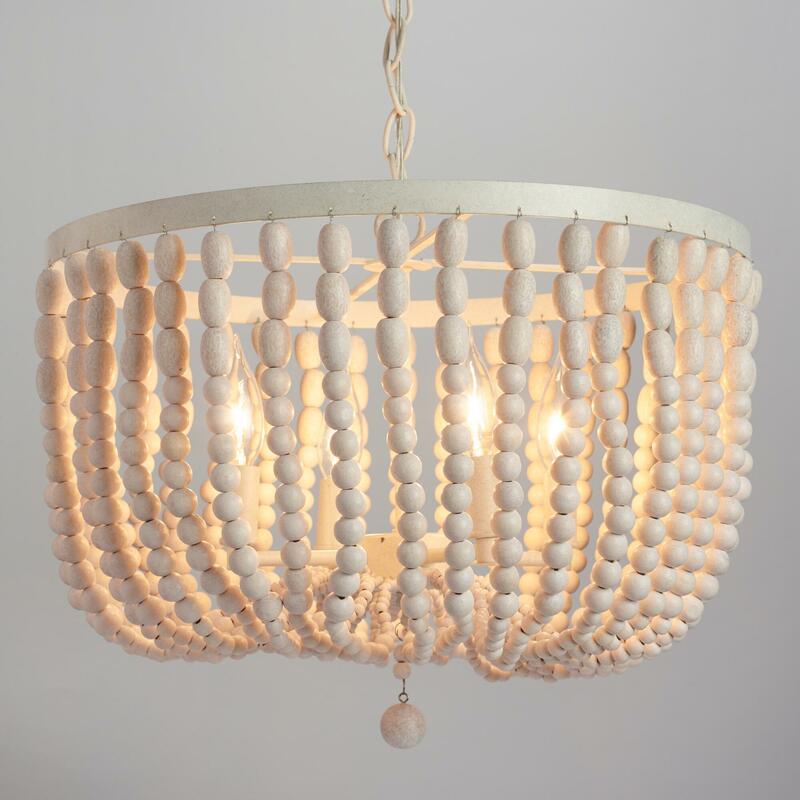 Check out the Antique Whitewash Wood Bead Chandelier from World Market. Very similar look and same casual elegance for only $199.99. 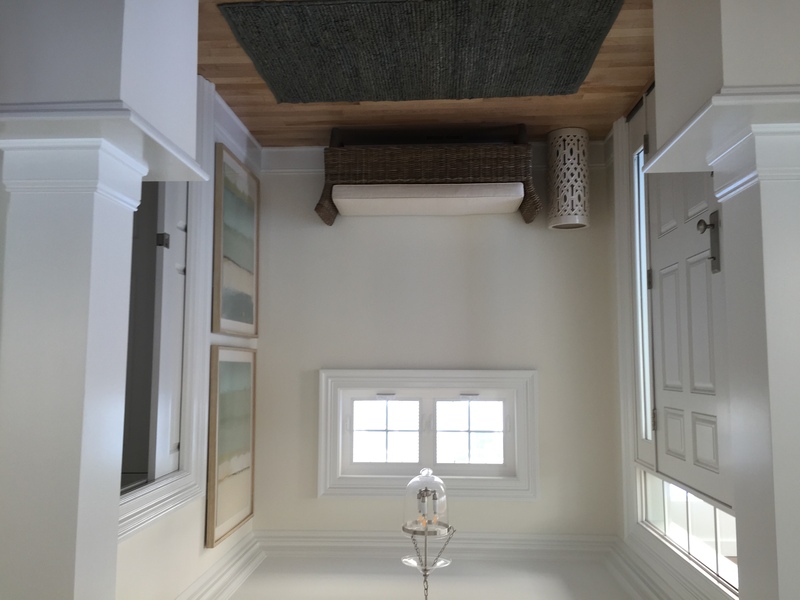 Please follow me on Facebook and Pinterest to see more interior design ideas for less! One of my favorite clients, Beth, has had both of us on a quest for a fun chandelier to be used over her existing dining table. 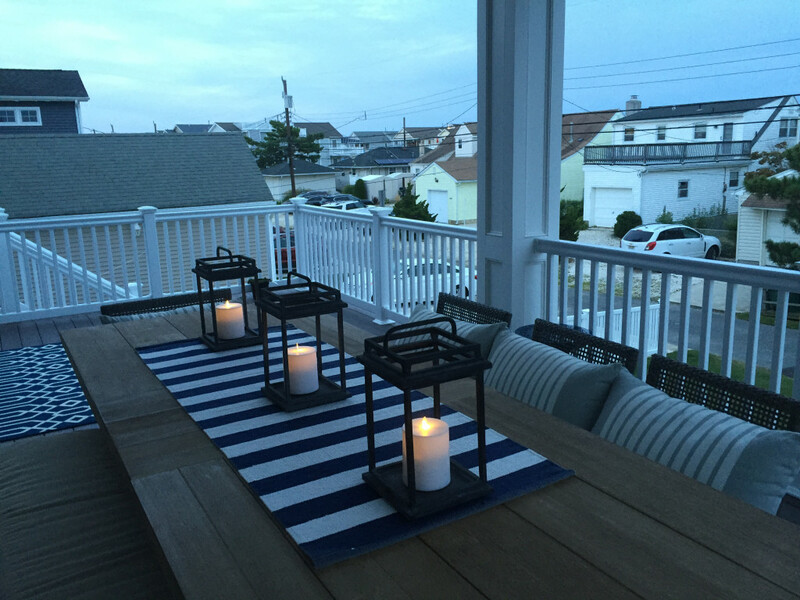 The color scheme for her home is blue on blue on blue – all shades blended together. Think Florida beach without a nautical twist. 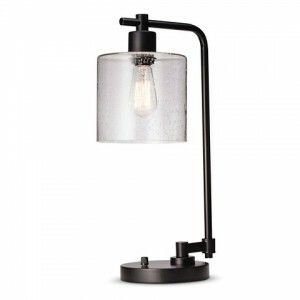 In our search we found this amazing light from Currey and Company. The price, well let’s just say retail is well over $4,000.00. While this fixture is perfect, we had to look for something similar in Beth’s budget. 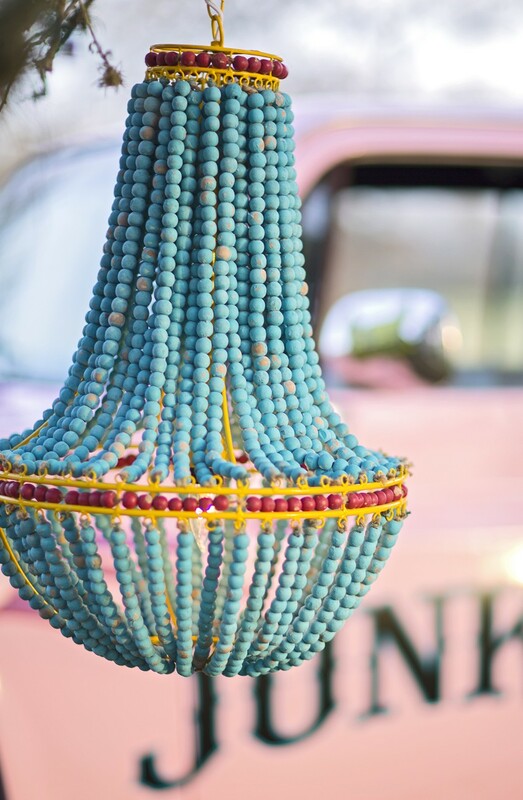 So here is what we found from Junk Gypsy Company – the Wanderlust Chandelier. The price – only $395.00. Perfect – the search is over! Savvy Home has compiled a comprehensive Interior Designer Network list and Interior Design Service Online is pleased to be included. Back in 2007, Interior Design Service Online helped create a new world of interior design services online. We are so proud to be recognized by Savvy Home – an excellent online source for furniture sourcing. To continue to celebrate our many years in business, our Custom Room Design Service, is sale priced at only $199.00. This comprehensive design service gives you everything you need to have a professionally designed room for our 2007 price. 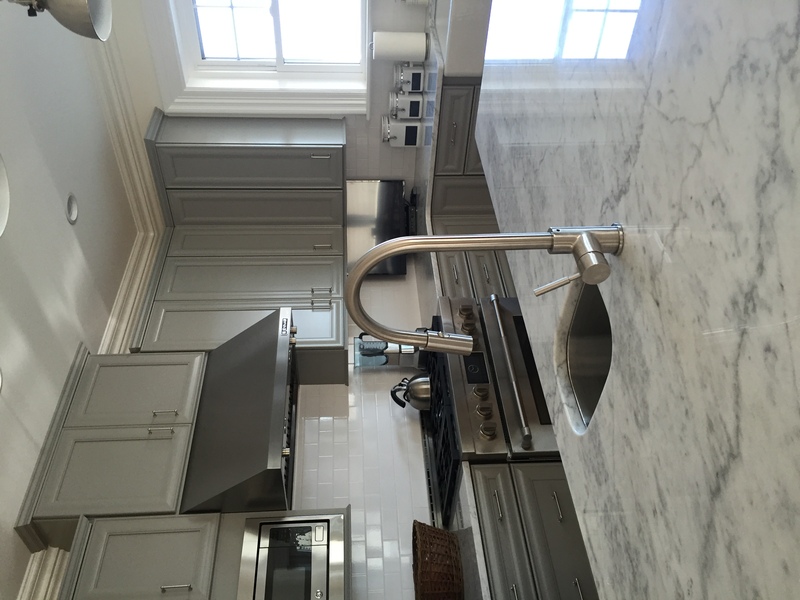 Need some design help for your home? Give us a try and see what all the buzz is about! Industrial Modern influences are everywhere right now. Yes, the look is a bit trendy but I have to admit, this trend is one I very much like and have no problem embracing. But, liking a trend and being able to afford to bring the trend into your home are two different topics. This make today’s interior design ideas high / low finds just what you need. 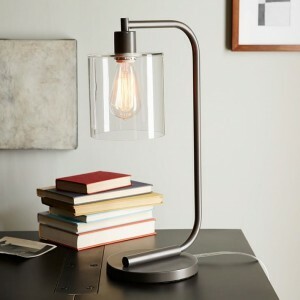 These table lamps are almost identical. Can you tell the difference in anything beyond the price? Almost 10 years ago, I had a hunch that interior design help online was the next big movement in interior design. 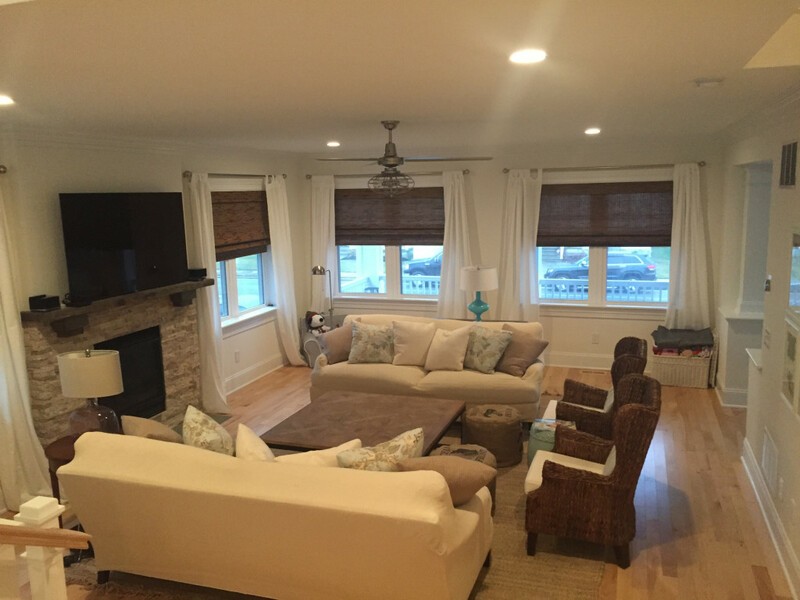 After working as an interior designer is San Francisco and Santa Barbara, I was ready for a change. At that time, I started researching online design services and, to my surprise, found that this service really did not exist. As a professional interior designer it made perfect sense that this was the next direction to go for homeowners. And my next professional adventure! Not to toot my own horn too loudly but it turns out I was right on this one! 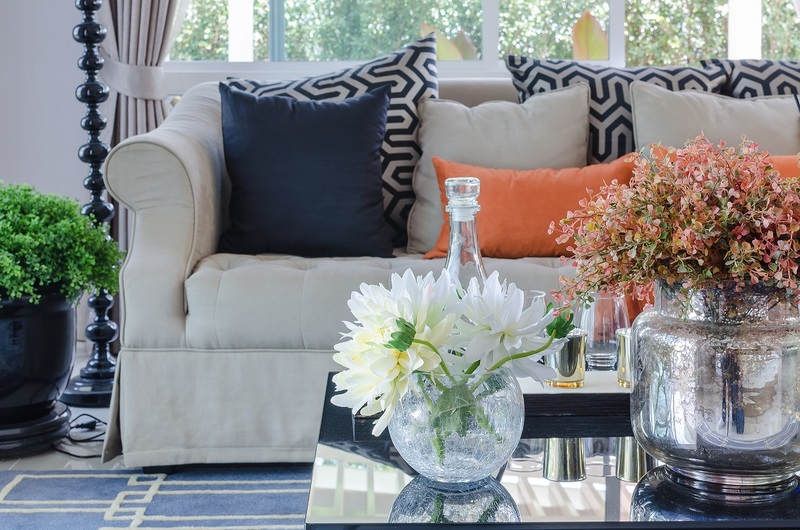 Cost: Online interior design can be affordable. Pricing runs from a few hundred dollars to a bit more per room but when compared to the hourly rate plus commission that most in house designer’s charges, this is a bargain! For me, I can keep the cost low yet still offer my clients a beautiful custom design and excellent customer service by keeping my overhead low. This is a win-win for both designer and client. Accessibility: This goes back to cost. While using an interior design once felt like a luxury only for the affluent, online interior design literally brings design to all. Whether you need a little advice or a lot of help, there is something out there for almost everyone and every budget. 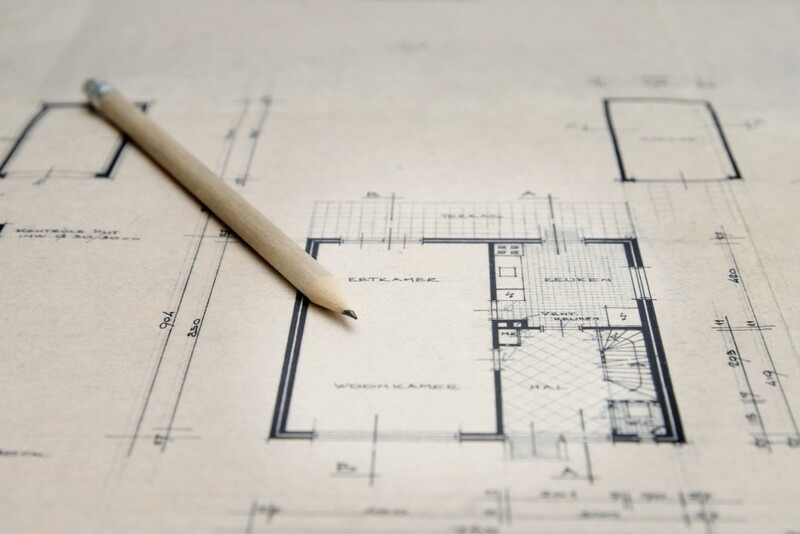 Interior design help online can be a fit for most projects and budgets. No Judgment: I cannot tell you the number of times I enter into a client’s house for a design consultation and the client immediately starts apologizing: “I did not have time to do the dishes” or “my two-year-old has toys all over the living room, please overlook”. This fear of designer / homeowner judgment is uncomfortable for us both. Certainly, you cannot believe that my home is spotless 24/7? I have children and pets too! That is exactly why I would never have this expectation of a homeowner. 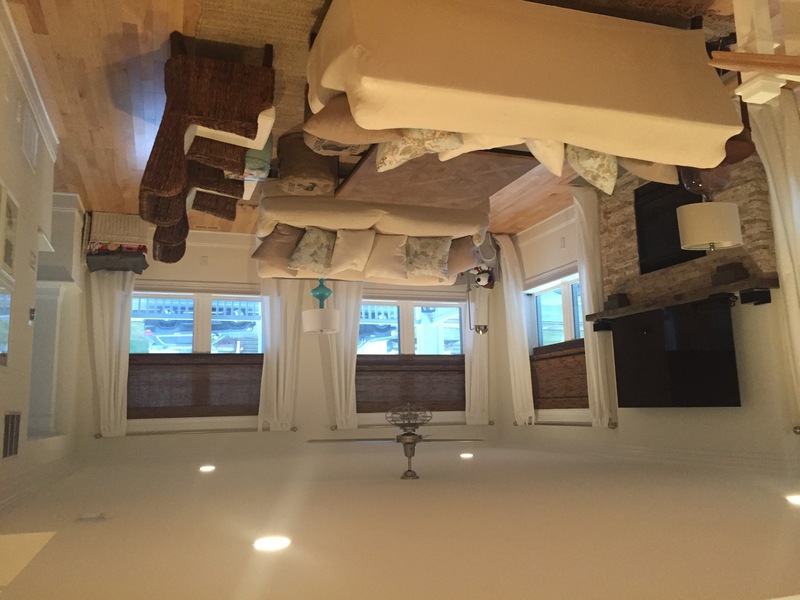 Online design eliminates this concern as you the home owner only show me photos of the room in question. Convenience: Busy professionals can now use the service of a designer at any time they see fit. No more trying to schedule an after-hours evening or weekend appointment. Access a professional designer at your leisure. No Pressure: With the right online design service, you will not feel pressured to purchase product from the designer. With Interior Design Service Online we do offer a Trade Discount on some items but that is only if a client in interested. No need to purchase a piece of art or table simply because the designer brought it to your home and tells you it is fabulous. 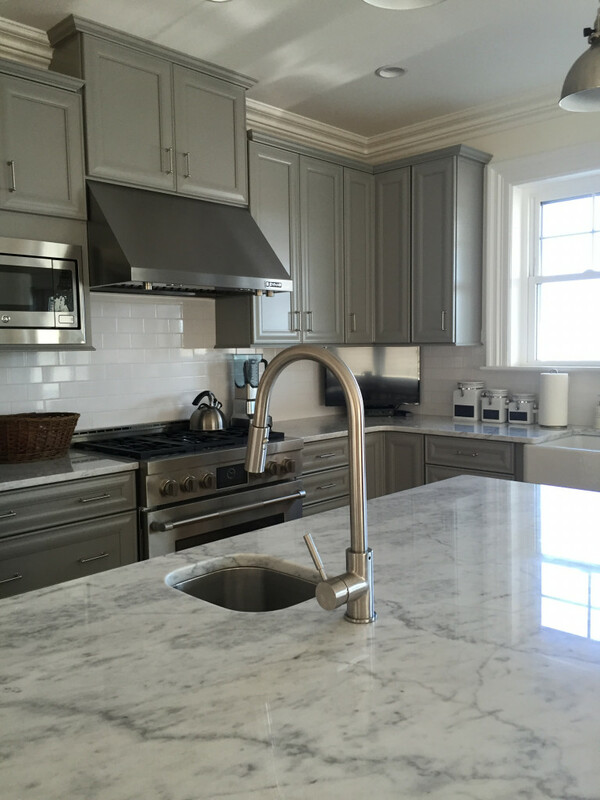 You decide what you love and what works for your home! Please be aware that if the cost of the online design is really low and product sales are encouraged, you can be pretty sure that the goal is the selling of product and not your design. After being one of the first online interior designers, the arena is now saturated with competitors. The beauty of this industry is that there are lots of options now for you! What keeps my company going strong is the relationships that are made. First time clients become repeat clients. Repeat clients become friends. I am not a turn and burn type online design firm; I actually care that my customer is pleased. I want the design to work for you and I want you to love it. This is why I love online interior design. A bench that is both masculine and feminine, modern and classic and with a high and low price tag is a true find! Whether used in an entry under a mirror or painting or at the foot of a bed, this bench makes a statement and tops the list of good interior design ideas. The Wallis Leather Bench from Horchow costs $1,399.00. While I love the bench I am not sure I love the price. This sent me off searching for something similar, something within the budget of my current project. And, look what I found! 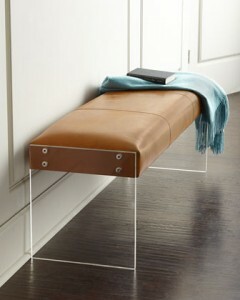 Coleman Furniture has a nearly identical piece called the Envy Leather / Acrylic Bench. Any envy I do. This incredible find only costs $349.00. Now that is a true score. It is now December first and it is time (past time according to some retailers) to start thinking about holiday decorating…that is, of course, if you haven’t already. Over the next few weeks many of us will be spending hundreds of dollars on gifts and decorations. None of us plan to go overboard, but it is so easy to get caught up in the holiday cheer, markdowns and cyber sales. So how do deck the halls without breaking the bank? Here are some of my favorite low cost holiday decorating tips for a beautiful, budget friendly season! 1.) 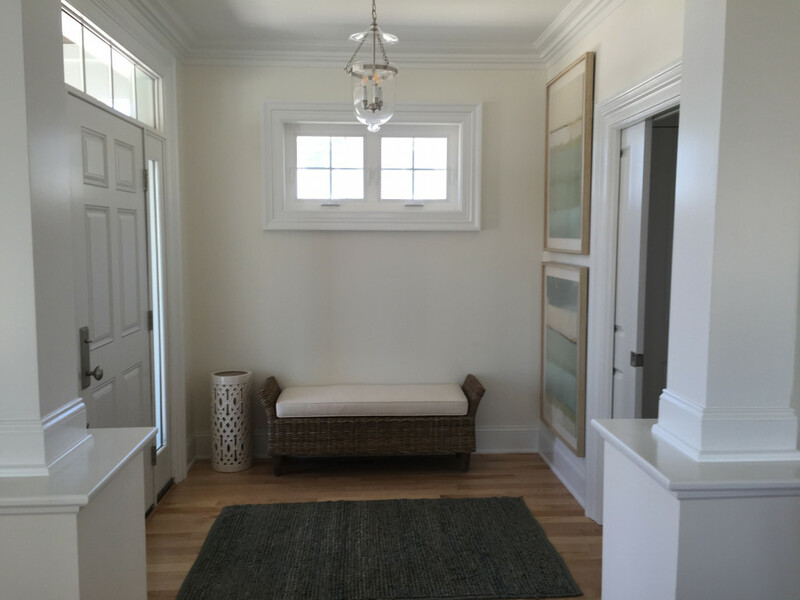 Focus your decorating efforts on the public areas of your home like the entry, living room and dining room. This is where you and your family will spend the most time and the rooms that your guests will see. You can always add smaller decorations to other rooms around the house but keep the majority of holiday decorating limited to these areas. 2.) Limit your outside decorations at a minimum. No need to spend your money decorating for the entire community when you have an entire home interior as your decorating playground. A few well selected items on the exterior such as a couple (yes I do mean a couple) strands of holiday lights, a pair of poinsettias flanking your entry door, and a wreath are plenty. 3.) Finally, look outside for resources. Mother Nature is the best designer in the world so look outside! Many stores sell items you can find for free outdoors. It is simple (and costs nothing) to fill vases and centerpiece bowls with pine cones, branches and anything else that signifies the holidays. Source your yard for trees that have healthy, intact needles. You can make your own garlands and wreaths by simply binding these needles together. 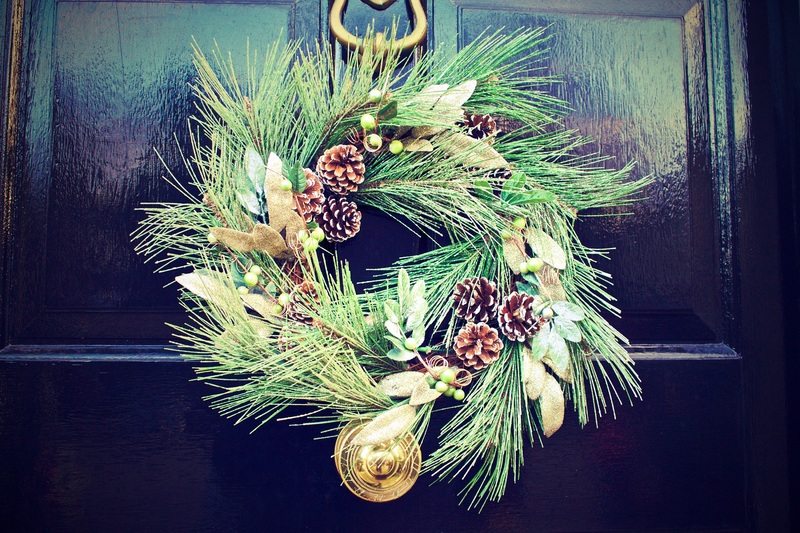 Consider using some of these ideas as you start (or finish) your seasonal decorating. Celebrate Our New Look with Sale Pricing! Join us in celebrating our websites new look by giving your home a new look too. For a limited time only, we are offering our most popular service for a steal. A professional evaluation of your current room! Our Room Review Service is now only $35.00 (regular price $75.00). Take advantage of this sale and let us give you professional interior design advice about any room in your home for a huge savings. We will analyze your room and help you figure out how it could look better. You will receive a detailed evaluation with three suggestions on what can be improved. The best part is that your full $35.00 will be credited toward the purchase of our Custom Room Design should you want even more design help. We have had our makeover now it is your turn! My tips for making the reupholster or replace decision are below. For example, do you want a skirt? Add a nail head trim? 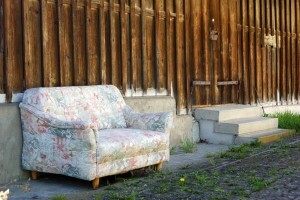 Bring your newly upholstered sofa home! When the process is complete you can be confident that you sofa will look new yet will still have that great comfort you have come to love. Or, you simply do not want to undertake the reupholstery steps mentioned above! How does the cost compare? 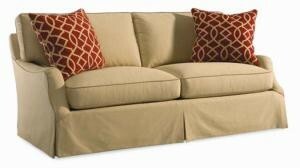 Surprising to many, re-upholstering a sofa ends up costing close to what it would cost to purchase something new. Therefore the cost should really not be the determining factor in your decision. I suggest that you go through the pro and con list outlined above. After you this, I am confident that you and your wife will land on the same page (sitting side by side on your new or old sofa).